For my birthday, my friend Lisa sent me the cutest yellow earrings from her etsy shop, Leesaland. 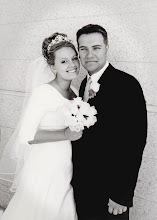 You may know Lisa from her wedding pics that were featured on several wedding blogs a while back. Best dress ever! Go to Leesaland and check out some of Lisa's wares. Come back here and leave a comment mentioning some of your favorites. I will announce the randomly selected winner on September 13th. Good luck! Seriously, how would I choose! Amber Transparent or Turquoise circle earrings are both stunning. I am going to have to get the long multi-colored necklace for myself! I love the cornflower earrings! 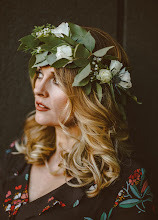 So many beautiful jewelery! I love the watermelon earings! Sooo cute! I've blogged about the giveaway. I blogged about ALL of your awesome giveaways! I like the Turquoise Bouquet Earrings and the Fancy Turquoise flower Earrings. I love everything! THe tiny lavender flowers, the marigold earrings, the crisp red with the turquoise beads... I'm so glad I know about this site! I love the copper petal & yellow flower danglings. They are ADORABLE! Too many beautiful things--but I do love the peridot hoop earrings. Oh and the blue lace hoops! I love the berry drop earings. I LOVE the Fancy Turquoise Flower Earrings. And the Tiny Lavender Earrings. SO CUTE! I think I like everything! I think the Red Berry Earrings are my fave though! Hey, those look familiar ! They looked great on you yesterday. and of course I follow ! and I blogged about your birthday week giveaway ! I love the turquise fancy flower earrings. Anjust about everything else. It's reall cute! Wow you always find the most talented people. I realy like the Jade and Garnet Necklace. I love those colors together. LOVE the long multicolored bead necklace! I LOVE the Fancy Turquoise flower Earrings and the Long Multicolored Beaded Necklace! 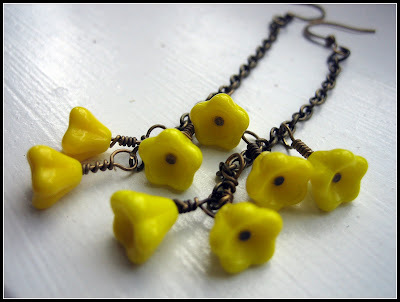 My favorite color is yellow as well, and I LOVE the pair of yellow flower dangles! Beautiful jewelry!! I like the crisp red earrings & the fancy turquoise flower earrings!! 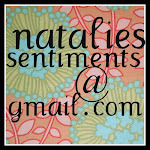 I'm a Natalie's Sentiments follower!! 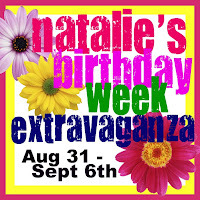 I blogged about your birthday week of giveaways!! I like the multicolored necklace and the sea foam bracelet! All of it is cute!!! Beautiful blog, beautiful header, ...love your blog...and not only becoming a follower, but adding you to my sidebaar...Hope you will stop by and visit my new Christmas blog. There is a great giveaway that ends tonight. The fancy turquoise are amazing! blogged about it too. finally! my kids are crazy sick so it took me a while. love it all but i especially love the amber transparent glass earrings and turquoise circle earrings. Horray for your birthday!! LOVE the yellow earings posed! And anything turquoise. Don't have a blog, but posted about your giveaways on my Facebook page! I love the tiny yellow flower earrings. Too cute! And of course, I blogged about the giveaway! I LOVE the magenta hoop earrings!!!! Cute stuff. I love the crisp red earrings. Her prices ARE awesome! Her jewelry is beautiful! I love the turquoise circle earrings. I love the long beaded necklace--have been wanting one just like that for a long time. Also the watermelon earrings! So cool and delicious. I like the crisp red earrings and the multicolored beaded necklace! And, I have your button. And last, but not least, have blogged about your giveaways! anything turquoise...especially the turquoise bouquet!! I love the yellow flower dangles! My favs are the crisp red, and tourquois bouquet. I don't know if I'm too late to enter, but I HAVE to try!! I love the turquoise earings on there!! Your button is also on my blog. Love the Fancy Turquoise flower Earrings. I love the fancy turquoise eargings, cornflower earrings, and sunburst necklace. Everything is so cute! I love the Peridot Hoop earrings, the Sunburst necklace and the Long Multi-colored necklace! 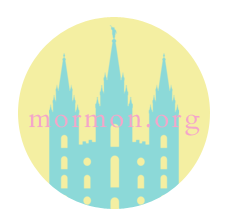 I have your button on my blog (always!)!! She makes lovely jewelry. I particularly like the color combination in the Sunburst Necklace. The orange disk against the garnet beads is striking.